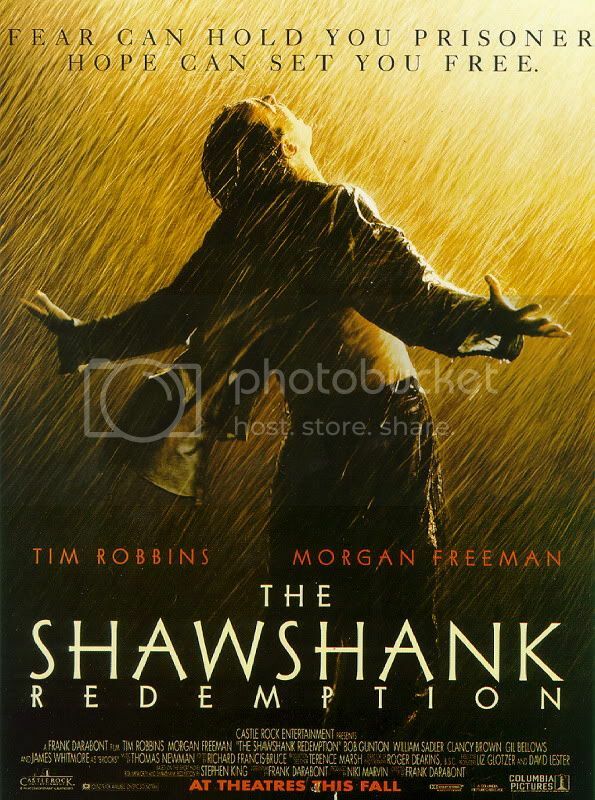 On its initial release The Shawshank Redemption was favorably received, even if its box office gross was not phenomenal. It has only been in the years since that the film’s legend has grown. The Top 250 on IMDb has held a special place near the very top for The Shawshank Redemption, and when the dust cleared after The Dark Knight uprooted The Godfather from the top position in 2008, The Shawshank Redemption filled the void and is still number one as of this writing. People love the film, even if the Academy couldn’t provide it with anything more than seven nominations. It has become oft-quoted, and many people will claim it as their favorite movie of all time. And rightfully so; it is a very good film, an uplifting experience, and a genuine crowd-pleaser. The film starts with Andy Dufresne (Tim Robbins) keeping a suspicious eye on his wife and her lover. The camera moves slowly and lingers, setting a mood of dread. But then it cuts to Andy in the courtroom, being grilled by the prosecuting attorney. His wife and her lover have been found murdered, and Andy is the only person with motive and means, even though he claims to have walked away, leaving them in peace. Andy is sentenced to life in prison. At first he is fresh fish, though the kindly Red (Morgan Freeman) soon comes to believe that there may be something special about Andy. The two form a friendship, aided by Red’s scrounging abilities and Andy’s gentleness. Andy remains hopeful in prison and is wont to daydream. Red is more pragmatic; there is no way out, and getting one’s hopes up only leads to crushing despair. When their friend Brooks (James Whitmore) is released after 50 years he is crushed by the massive changes in society and technology and finds himself yearning to be back inside those prison walls. He has been institutionalized and Red fears he may follow the same path. Andy is not one to give in so easily, and busies himself with a number of projects. One of his primary goals is avoiding the “affection” of Bogs (Mark Rolston), at least at first. He soon proves himself useful, first to the masochistic prison captain, Hadley (Clancy Brown), and then to the prison warden, Mr. Norton (Bob Gunton). Through his persistence efforts in harassing the Senate, Andy is awarded funds to finance a proper library for the inmates. His past life as a banker proves beneficial to the guards, whose taxes he does in exchange for small favors and a relaxed prison experience. Warden Norton uses Andy the most, eventually making him the chief of his money laundering schemes as he gets rich off of the prison labor he contracts to the government and other businesses. The rest of the story is probably familiar to most anyone, but, just in case, there will not be any more spoilers. Much of the enjoyment will come from experiencing the rest of Andy’s story afresh, though many viewers seem to have seen the film numerous times. It is easy to understand the love the film has received from audiences. A man, who may have been wrongfully imprisoned, makes the best out of a difficult situation and refuses to give up hope. When it comes time for a certain character’s redemption, and the comeuppance of evildoers, audiences will cheer. It helps that the film is so artfully crafted. With maestro Roger Deakins, a frequent collaborator of the Coen Brothers, behind the camera, every small movement and slightest shot looks immaculate. 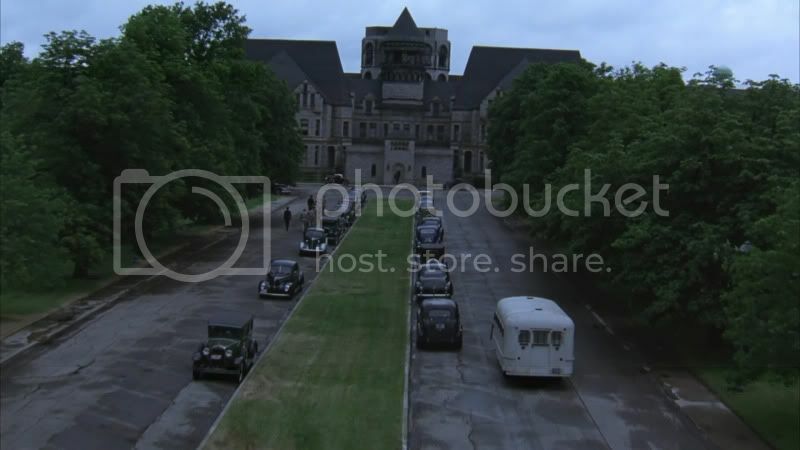 Sweeping vistas of the prison grounds look amazing, and having the Ohio State Reformatory in Mansfield, Ohio, available for shooting lends a great deal of credibility. One particular aerial shot is quite effective, as the camera slowly swoops up the lengthy driveway to the impressive front of the prison before pulling up to reveal a mass of prisoners in the inner grounds. Additionally, every period detail is perfectly captured. There is a luscious amount of detail, from the costumes to the vehicles and prison interiors. Everything looks exactly as one might imagine. It is a little difficult to discern the intended main character. Tim Robbins receives top billing as Andy, but it is Red (wonderfully captured by Freeman in an Oscar-nominated effort) who is the most empathetic. Andy is, by his own admission in the film, difficult to read. He is an enigma, and his motives are rarely clear. Red, on the other hand, is the character who undergoes the most change throughout the film. As a young, reckless boy he murdered a person. The remainder of his life has been spent coming to grips with his own stupidity. Only his years behind bars have given him the necessary experience to fully comprehend his deeds. He changes when Andy arrives at the prison, and then he changes more as he gets to know Andy. He slowly understands that their is a purpose behind hoping, behind looking for the beautiful things in life, behind appreciating the memorable qualities of music. It is his redemption, most of all, to which the title refers. For all of its grandeur, The Shawshank Redemption is not a perfect film. After a stellar beginning, introducing Andy’s predicament and his gang of friends in prison, the movie drags and becomes a bit sluggish. A brief segment detailing Brooks’ release, while important thematically, feels dissimilar to the way the rest of the story is told. The focus shifts and the film’s momentum is momentarily lost. The film picks up toward the end, but even here every detail is laid out for the viewer. Thank goodness they did not resort to flashbacks, especially in an interesting moment concerning the Warden and a Bible. Also, having two primary characters lends the film an odd sense of schizophrenia. It is difficult to identify with Andy, but Red seems to be a background character for much of the film. This lack of empathy lies primarily with me, as multitudes of other viewers obviously connect strongly with the characters. But the film is larger than its story or characters. Its message of hope and beauty is inspiring, and the characters are charming and realistic enough to pull it off convincingly. 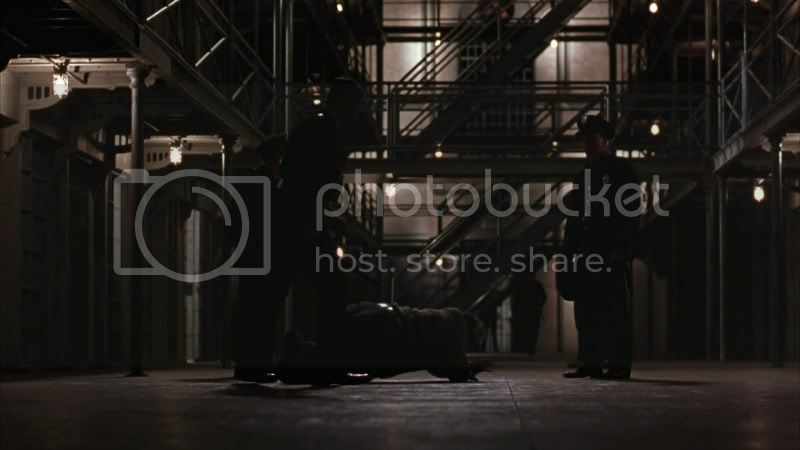 While The Shawshank Redemption is a better film than 1994’s big winner, Forrest Gump [review here], it doesn’t quite match Pulp Fiction [review here] as the best movie of 1994. 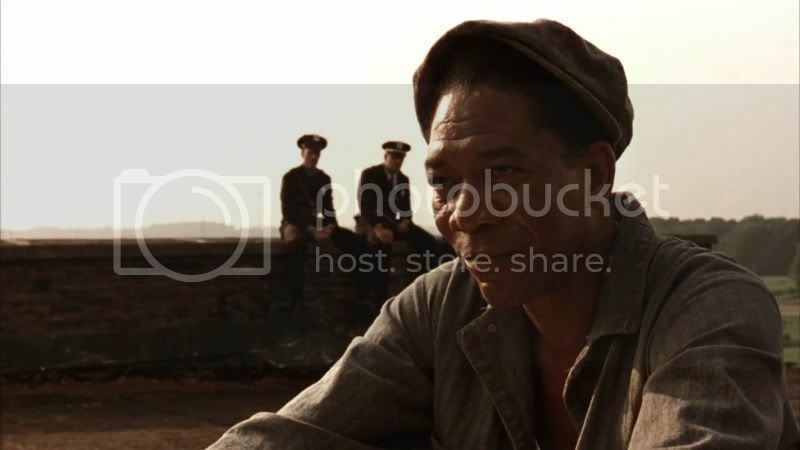 It is easy to see why The Shawshank Redemption has amassed such a following over the years, and the film’s story, characters, and technical merits bear out audience’s fondness for the movie. This entry was posted in 3.5 pirate flags, 3.5 stars, Movie Reviews, Pirate Flag Rating, S, Star Rating on May 20, 2010 by Tim Irwin.